Taking Lukas to daycare is always an adventure! As you've seen, there are always new things to discover...like toilets and kitchen sinks on neighbours lawns! You can never guess what is just around the corner. Walking those 3 blocks from our house to the chapel has so many twists and turns, and today was no exception. 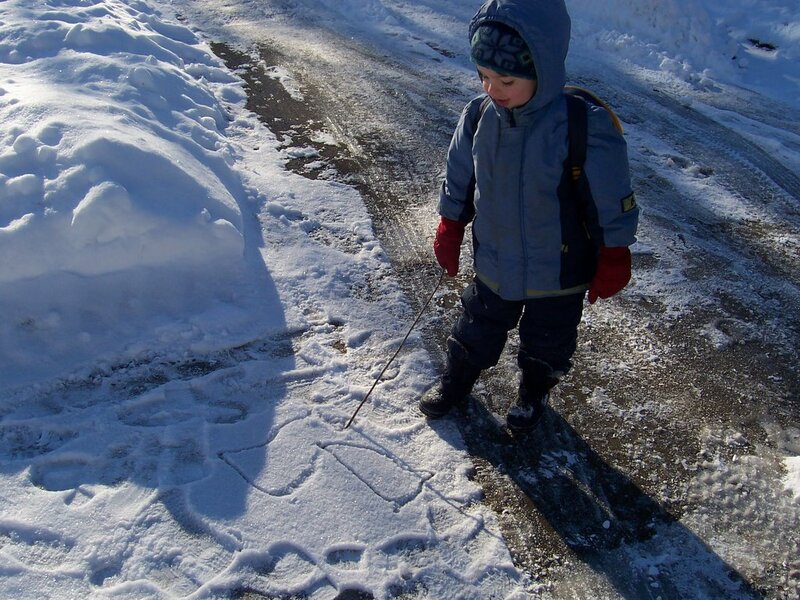 Lukas found a stick and started drawing in the snow. Any idea what Lukas is drawing? He said to me "Look daddy it's......"